CanSORT maintains a year-round undergraduate student presence. We participate in the Undergraduate Research Opportunity Program (UROP) and the Federal Work-Study Program. We also sponsor students registered for Psychology or Nursing research practicum or honors program credits. Our students come from a variety of different departments across the university, including chemistry, cell and molecular biology, psychology, engineering, nursing, and neuroscience. 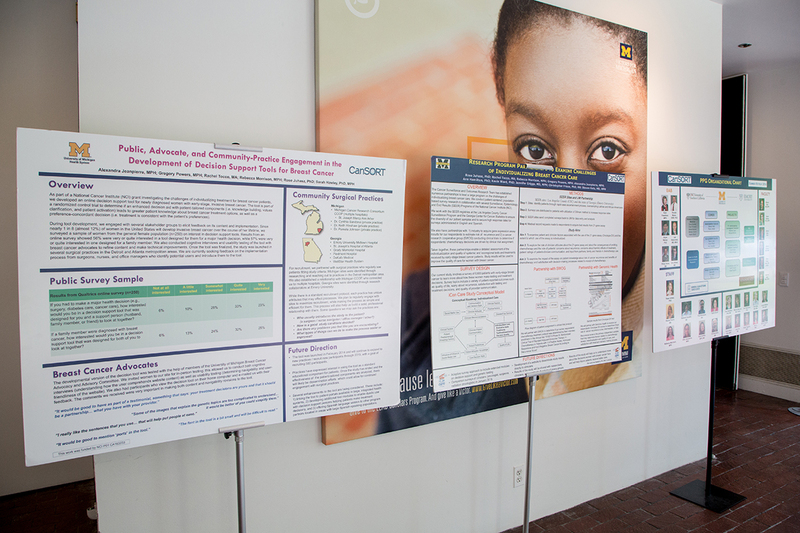 Our graduate students come primarily from the School of Public Health programs in Epidemiology, Health Behavior and Education, and Health Management and Policy. Students at all levels are essential to maintaining and ensuring quality of CanSORT research data entry operations for multiple projects. CanSORT core research infrastructure activities related to survey design, research development and administration, and communication and dissemination also integrate our students. The CanSORT Research Management Team and faculty host supplemental educational activities for our students and ensure that they grow their skill sets and understanding of patient-centered cancer research and care.